Mr. Washington Honored with Doctoral Degree for his service. Once upon a time, on an estate in Northern Virginia, there lived a hobbit. He lived in the countryside and liked to keep to himself. He was slow to make speeches or draw attention. He loved things that grow and preferred quiet evenings at home to far-away adventures. His name was George Washington. No, he didn’t fit the visual hobbit stereotype. He was 6’2″, wore shoes, and we have no record of him visiting Middle Earth even once. But hobbits are curious things, and given his life and his choices, he may have been one all the same. Power Corrupts in All Worlds, so it would seem. Both George Washington and Frodo Baggins lived in worlds where only a few had great control over many. Kings of men gathering power with good intentions inevitably became corrupted. Then they turned into wraiths (well, in one of the worlds. In the other they simply became tyrants). 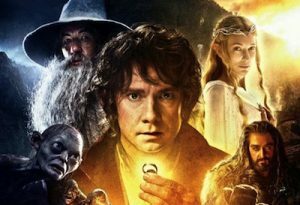 In worlds where power is everything, entrusting world-saving responsibility to anyone – even a hobbit – was a very risky move. Frodo and Washington were both asked by friends to leave their life of comfort to fight a distant power — not to set up their own local dominion of oppression, but to bring independence and freedom to their people. Both quests were long and replete with hunger, exhaustion, and betrayal, and appeared hopeless much of the time. Their task was a unique one: to first seize the power from their threat in the east, and then to voluntarily cast it aside. In worlds where power is everything, entrusting this responsibility to anyone – even a hobbit – was a very risky move. 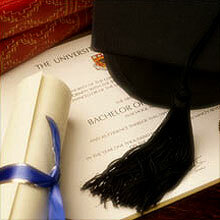 April 3, 1776, for his service, George Washington was rewarded with the first-ever law degree from Harvard College. different condition than when it left your hands, if it arrives at all. As it is with toddlers and treats, we adults have been found to view power as irresistible, even over other things. Luckily, the most striking link yet between Washington and Frodo was their unusual ability to withstand the evil and corruption of power. It simply didn’t seem to have the same effect on them as on most of the men (and halflings) in their time. And this was the thing that made them perfect for the job. Washington could have easily used his army to take over the Congress that had treated them so badly during the Revolutionary War. In fact, many of his men planned to do exactly this. Instead, Washington put these plans to rest with an impassioned speech, reminiscent of Gandalf as he scolded Frodo when the hobbit offered him the ring. Gandalf explained that he would use it to do good things, but if corrupted he would be the cause of great evil. Even the great wizard didn’t trust himself. So with Washington. To Be King, or To Remain a Hobbit? Frodo, as you recall, was a celebrity of honor in Minas Tirith after he absolutely killed it in Mordor. In humility, though, he left his fame behind and went back to his quiet life in the Shire. Eventually, somebody else would take a turn with the power. After each of these terms of public service, instead of patting himself on the back and wearing out his welcome like the politicians we’re used to, Washington would shut his desk and quietly steal away back home. Thankfully, this set the example for presidents to follow. 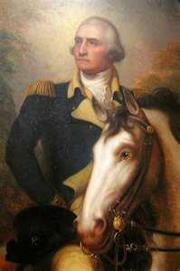 Washington had proved himself to be an excellent leader who could handle having a little authority. So, when he had the opportunity to grab the reins and run things the way he had always wanted – and for as long as he wanted – why did he limit his own control? Even if he trusted himself completely, he likely understood that it wasn’t just about him. Eventually, somebody else would take a turn. Washington may have had the ability to be a lifelong benevolent president or even a king. But he was an anomaly. Human nature shows that few of us can handle having much power. We end up abusing it and getting the nation into more trouble than Merry and Pippin with a pile of fireworks. That’s why he helped set up a system of government that didn’t require an incorruptible hobbit to lead it. Washington wasn’t the only hero halfling outside Middle Earth, though. His countrymen caught hobbit-mania as well. After having properly finished second breakfast on a December day in 1791, the American people ratified the Bill of Rights. This was our moment as we collectively tossed the Ring of Power into the fires of Mount Doom. We declared that we could rule ourselves, without giving undue power to corruptible leaders. By shackling the national government with ruthless limits on what it was allowed to do, the states and its inhabitants were free to make their way in life how they saw fit, just as Frodo and Washington would have it. Revolutions usually don’t end in a calm debate and a free republic. Honestly, we probably got lucky. Revolutions usually don’t end in a calm debate and a free republic. They called it a miracle. We would be wise to learn more about this power – this control over people – and why it’s so important for it to be limited, even when we’re tempted to use it to do great things. Believe it or not, some of us are sifting through the ashes of America’s Mount Doom again. They’re searching for the ring, eager to return greater power back into the hands of a few. They would like to rewrite the rules and abandon the example Washington set for us. They’re using assorted excuses to convince us to support them. Hopefully we can see that this is a monumentally bad idea. As you know, true hobbits are rare around here. And we may not have one handy next time. *Note: On April 3, 1776, for his service, George Washington was rewarded with the first-ever law degree from Harvard College.